Mimi Thebo died when she was 14. She was in a car crash and died for about eight minutes. Her best friend was behind the wheel and never forgave herself, comfort-eating her way to an early grave. “Out of the two of us, I was hurt the least,” said the Carnegie longlisted author for children and teens. 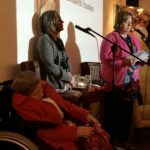 Despite spending most of high school in hospital and suffering life-changing injuries, Mimi has defied doctors by building a successful career as an author, getting married, giving birth, gaining her PhD and working full-time. 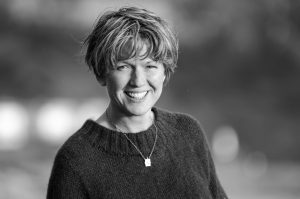 Her latest role as Reader in Creative Writing at Bristol University involves setting up a new MA in the subject and championing under-represented voices. 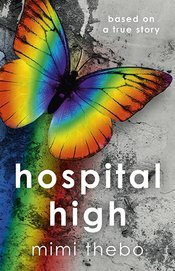 The author’s trauma inspired her latest young adult novel Hospital High which she wrote “in the margins” of life, fitting it around work, family and study, as a way of confronting her past. 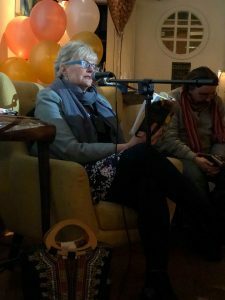 “If you write about trauma, wait until you can write without killing yourself,” she half-jokingly warned the packed crowd at Bristol’s Novel Nights in The Square Club at The Berkeley Hotel, telling them it wasn’t an easy or cathartic experience. 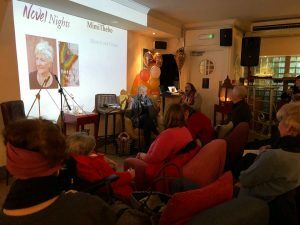 Mimi took time out from her busy schedule touring schools for World Book Day to read exerts from Hospital High and discuss the topic of memoirs, chosen for this month’s literary get-together at Novel Nights on Wednesday February 28. She told the audience everyone’s life experience is different and that is what makes our stories unique: “Nobody lived like that before or will again. But, our memories are not as secure as we think. They not only change radically over time, we do not realise they have, so we can be certain we’ve got it right and still have it wrong. We can’t help it though; our brains are storytelling machines – just ask the police why they need to take witness statements straight after a crime. If no man is an island and our memories are fallible, the ethics of representation should be considered when writing memoir and autobiographical fiction. Mimi wanted to be fair to her best friend, called Kim in Hospital High, who “dumped” her after the crash because she couldn’t handle the guilt. Mimi never told her friend how broken for life she was, even when her friend turned the school against her for claiming an insurance pay out. 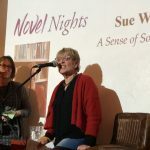 Fictionalising real life gives the writer a lot more freedom compared to writing memoir where things can’t be moved, or changed, but the writer can select what is left out. In autobiographical fiction, the writer must find their own way and the point at which their memoir becomes fiction. She still gets memory loops from the crash as part of her Post-Traumatic Stress Disorder (PTSD) when she is stressed. This condition is conveyed in her earlier novel Coyote Summer about Jules, a young Londoner, who did something terrible and is sent in disgrace to live with her Aunt and Uncle in Kansas. PTSD is never mentioned in the book, it is just shown through the story. This is the power of the author, to force the reader’s head to look at a subject from a certain angle. Her “life’s work” is now to draw together the extraordinary research profile of Bristol University and the inclusive, active and rebellious spirit of the city, agreeing when an audience member suggested it was “Stokes Croft meets the Ivory Towers”. Her research has shown many people don’t study an MA in Creative Writing due to a lack of time and money. That’s why the course she is developing will focus on accessibility so people can fit studying around a job or caring commitments. 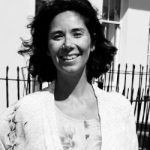 She wants Bristol’s unique selling point in the competitive world of creative writing courses to be championing new voices that are under-represented in the literary landscape: Black and Minority Ethnic, Lesbian, Gay, Bisexual, Transgender, Queer/Questioning, working class. 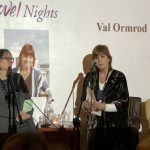 The audience were also entertained and inspired by writers reading from their own memoirs: Sue Wells, who read from A Sense of Something Lost, Elisabeth Standen whose friend read on her behalf, Gabrielle Sedita who is fascinated by the “meshing” between creativity and spiritual exploration, and Val Ormrod who read from her Janklow & Nesbit-shortlisted work In My Father’s Memory.